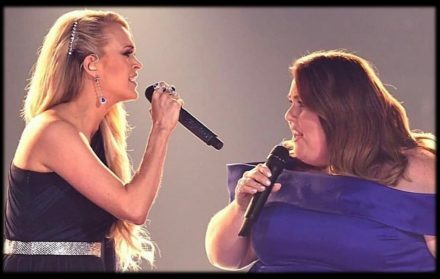 2019 ACM Awards: Chrissy Metz "I'm Standing With You"
Actress Chrissy Metz made her live singing debut with “I’m Standing With You” during the 2019 ACM Awards. Metz was joined by Carrie Underwood, Lauren Alaina, Maddie & Tae, and Mickey Guyton to perform the song form the “Breakthrough” film soundtrack. Watch the powerful moment below! Share Chrissy Metz’s debut with other fans!